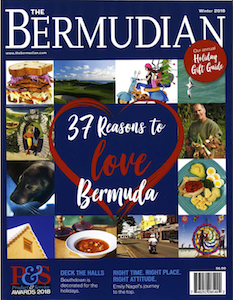 Chosen as one of Bermuda’s 10 Most Fascinating People in 2016, the bookstore-owning, tourism-consulting, public-speaking, writer, artist and all-around social media superstar Kristin White has been passionately promoting St. George over the last few years. The former director of Raleigh Bermuda is focused on improving the connection young people have with their community while advocating for cultural tourism, especially in her underused town of St. George. The writer/director/ producer for the popular Haunted History Tour can be found circling the old town on her equally well-known pedal bike, Shoshanna, when she isn’t guiding tourists to her favourite hot spots from her bookstore on Water Street. We have to admit that this one was unanimous! 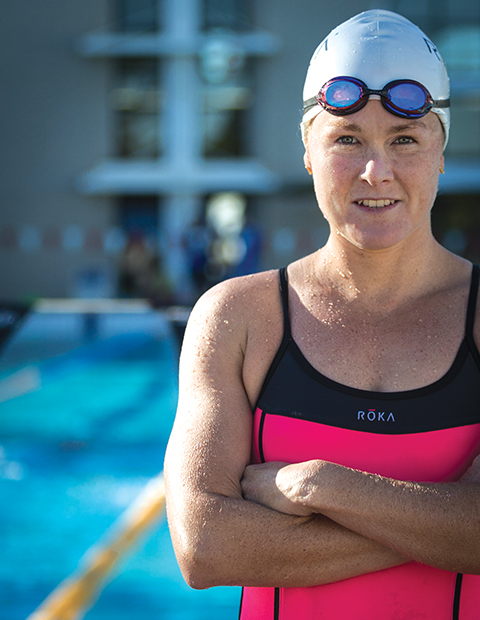 It was hard to compete with superstar triathlete Flora Duffy before, but in 2016 it was practically impossible. Crowned Bermuda’s 2016 Female Athlete of the Year at the 36th Annual Sports Awards, Duffy finished her spectacular year as the 2016 ITU World Triathlon Series World Champion, the 2016 ITU Cross Triathlon World Champion, and the winner of the 2016 XTERRA World Championships. And the entire island was glued to last year’s summer Olympics as we cheered her on to a stunning eighth place finish in the women’s triathlon. We expect this five-foot-five, 128-pound powerhouse of an athlete is not done yet. His credentials are no doubt impressive: An MA in political science from York University, former lecturer at Bermuda College, president of Research Innovations Ltd., newspaper columnist and currently the shadow minister of education. MP Walton Brown is one of the most outspoken and, as his credentials imply, one of the most qualified political voices in the opposition assuring his place in the limelight on many current issues of the day. From generous scholarships for deserving students to a $4,000 donation for the restoration of the Deliverance in St. George in 2016, the Green Family continues to give back to the island through thoughtful donations. Since its inception in 2007, the Green Family Scholarship has given more than one million dollars in educational funding to over 100 post-secondary students. Their continued investment in Bermuda makes them very good corporate citizens indeed. Proving that it doesn’t take deep pockets to help others in a big way, manager of Rosa’s Cantina and president of the Bermuda Foster Parent Association, Lindsay Simmons-Durham has been quietly giving back for years before making a big impact in 2016. A foster parent herself, Lindsay partnered with her employer on several initiatives last year—including donating proceeds from a special cocktail to charity and an “Angel Tree” where the public was invited to donate gifts for children in foster care or in the Big Brothers Big Sisters programme. The initiatives raised over $14,000 and culminated in a hugely successful event—the Winter Wonderland: the Big Give Back on Front Street last December which was open to the public and free to children. Lindsay says she hopes to make it an annual event, and we certainly do, too! Currently performing as part of the ensemble cast for DREAMGIRLS in London, Bermudian actress Candace Furbert caught our judge’s attention for her spectacular performance as Miss Celie in Troika’s production of The Colour Purple last year. The rising star won Bermuda Teen Idol in 2008, and has since performed at the Bermuda Music Festival in 2009 and 2010 and was a cast member with Up With People in 2010 before heading to London where she has had roles in the West End phenomenon The Book of Mormon and as the Dragon and the Fairy Godmother in the UK tour of Shrek the Musical. If you are on the other side of the pond anytime soon, be sure to catch her performance at the Savoy Theatre from now through October. Headline singer Kassandra Gabrielle Caines has been torching up the stage with her powerful, soulful vocals since taking over from Joy Barnum in 2015 in the Big Chill Band, now in its fourth season. You can catch this rapidly rising star performing with band mates Felix Tod and Tony Brannon on Fridays at Sea Breeze Terrace at Café Lido (Elbow Beach) and Saturdays at Princess Beach Club, through October. You may not yet know her by name, but you certainly know her work. As part of the City of Hamilton’s art festival last year, artists were invited to submit proposals for public art and Robyn Hooper was one of the chosen ones. Her angel wings mural on Dundonald Street has since become a popular photographic background and her “We could be heroes” mural on the side of Butterfield and Vallis has also been well-received. A Foundation Year teacher at Saltus Grammar School, Hooper also offers adult art classes through her studio, The Painted Gate, where she supplies materials and instruction (and wine is welcome!). Merriam-Webster defines tenacious as “persistent in maintaining, adhering to, or seeking something valued or desired.” When it comes to defence attorneys, none can be described as tenacious more aptly than Charles Richardson. Appearing for numerous high-profile clients over the years—including former opposition leader Marc Bean and more recently BPSU president Jason Hayward for the December 2nd airport protest—Richardson has been steadily proving his mettle in court and, as one “Best of” judge jokingly suggested, is now perhaps the male, Bermudian version of Annalise Keating. Whether you go to the game, soak up the sun on the beach or spend the weekend camping, all locals have their annual traditions and they usually revolve around family, friends and lots of food. Cup Match is a uniquely Bermudian event that divides the country down the middle—you are either blue and blue or red and blue, a side must be chosen and vociferously defended—for two full days (and usually several weeks beforehand). While the heated cricket match is the highlight of the two days’ off, we also remember the reason for the holiday—commemorating the abolition of slavery on Emancipation Day (Thursday) and celebrating Sir George Somers on Somers Day (Friday). Playground at the National Museum of Bermuda. If it has been a while since your last visit to the National Museum in Dockyard then you might not yet have had the pleasure of enjoying their unique new playground situated inside the grounds next to Dolphin Quest. 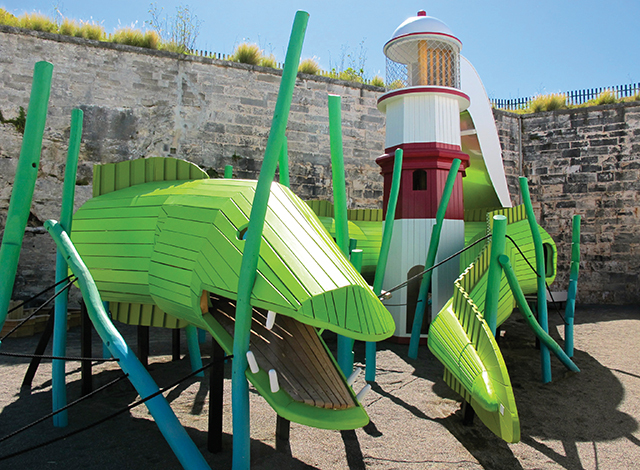 Featuring a lime green wooden moray eel wrapped around a massive 21-foot lighthouse/slide, it is an engaging play area created by innovative Danish firm Monstrum specifically for the museum. And now that the accompanying Museum Playhouse adjacent to the playground is open, we can’t recommend a visit highly enough. This is the second year in a row that ABC Football School coach and founder Andrew Bascome has been acknowledged as the best Sports Coach/Instructor. Named as one of the 10 Most Fascinating People of 2016, the much-loved and passionate men’s national team coach continues to encourage the island’s youth to excel not only on the pitch, but in life as well. As he stated in his “Most Fascinating” interview, creating a safe space for children is his greatest priority and revealing his own struggle with the aftermath of abuse in his past has opened up an important conversation within the community—making him an even bigger hero in our books. This year marks the fourth event for the Bermuda chapter of Relay for Life and its second Best of Bermuda award in this category. The American Cancer Society fundraiser was initially brought to the island by Bermuda Cancer & Health Centre volunteer Ron Spencer III who had lost his mother to cancer in 2008. From 2014 to 2016, locals have raised over $1.7 million and, although the 2017 event happened after this magazine went to press, we have no doubt that in only four years well over $2 million will have been collected and intended for the first-ever radiation therapy initiative due to be operational by mid-2017. Hats off to Ron and all the amazing volunteers, donators, relay-ers and support staff who have made this annual event so hugely successful. What started in 1999 with 12 teams over a few hours on a Saturday morning has grown to over 1,000 young footballers from more than 80 teams participating in what is now a highly anticipated three-day event at the National Sports Centre. And, as such, the annual Kappa Classic Football Tournament has since become Bermuda’s best spectator sports event. With an estimated crowd of 3,000 to 4,000 people cheering on the 6- to 16-year-old stars with everything from air horns to pots and wooden spoons (you know who you are! ), the free-to-the-public event is run by volunteers from the Bermuda Alumni Chapter of Kappa Alpha Psi Fraternity and heavily sponsored by some of the island’s biggest firms. Part transportation vehicle, part travelling companion (and total rebel! ), cultural tourism ambassador Kristin White’s beloved Shoshanna is a baby blue classic pedal bike with an instagrammed life of her own. Often parked outside the Book Cellar, which White is part owner of, Shosh occasionally leads bike tours around the old town and has been discovered overnighting at many of the local watering holes (because one should never drink and bike, of course). Now in its 18th year, the Bermuda Chapter of Delta Sigma Theta Sorority’s annual Children’s Reading Festival held in November is a free event catering to children from infants to P6. With an emphasis on encouraging the love of reading, the festival held in Victoria Park is filled with free books, storytelling, entertainment and giveaways. In 2016, they added a sensory play area for the little ones while older kids enjoyed card making, bouncy castles, face painting and more. A fun, full-day, free event promoting literacy? We are in! Pack up the picnic basket and take the whole family to Astwood Park for lunch this summer, recommend our judges. High up on the cliff with stunning south shore views, the park is accessible for most, with picnic benches and plenty of green grass to sit (or run around) on and enjoy the scenery. But please supervise the children carefully as windy weather can make the cliff edge rather perilous and the path to the beach below, while not completely inaccessible, has been severely damaged by recent storms. All roads will be leading to Dockyard this year! From the America’s Cup action to the numerous upgrades to all the hot spots, there is no better time to gather up the clan and enjoy a day in the west end. Catch the ferry from Hamilton or St. George’s, play a round of mini golf, lounge on the beach at Snorkel Park, soak up some fascinating maritime history at the National Museum (or just watch the dolphins for a while), enjoy a delicious meal (there are so many options to choose from!) and don’t forget to cap off the day with an ice cream. And with daily/weekly events during the peak season, there is no end to the family fun! 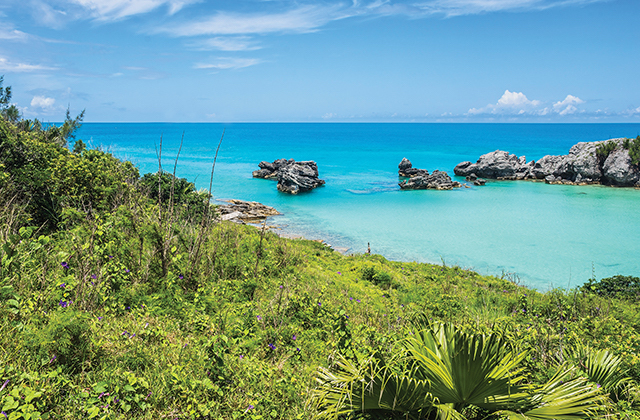 Bermuda’s largest wildlife sanctuary, Spittal Pond Nature Reserve, comprises 60 acres of untouched natural beauty and features a vast array of native and endemic plants and animals. It is a favourite for local bird-watchers since the brackish pond is a major transition area for migratory birds as they make their Atlantic crossing. With winding trails full of endemic fauna and stunning views over the south shore, visitors should also keep their eyes peeled for migrating whales in the spring and the rarely seen, endangered Bermuda rock skink. 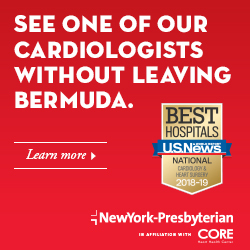 This category was a much more difficult decision for our judges, with so many great charities working tirelessly to improve the lives of those in need in Bermuda. After much discussion, we could have given out multiple awards; however, the win for best charity/community service organisation was given to Big Brothers Big Sisters (BBBS) mentoring programme for their tireless work in matching adult role models with children, often from single parent homes, who need guidance and support to reach their full potential. According to their research, the BBBS programme has shown that “91 percent of children involved with Big Brothers & Big Sisters programmes experience a sharp rise in self-esteem, 70 percent do better in school, and 73 percent stay out of trouble with the law.” BTW, there are currently approximately 70 unmatched children in the programme waiting for you to volunteer. Darren Woods and Patrina O’Connor-Paynter abstained from voting. Officially settled in 1612 and designated a UNESCO World Heritage Site in 2000, St. George—the longest continually habited town in the New World— is the perfect example of living history. 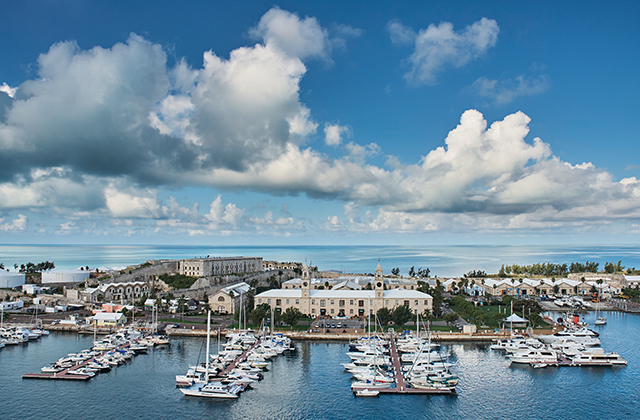 From the oldest Protestant church in the New World (St. Peter’s) to Bermuda’s original parliament building (the State House) to the numerous forts and batteries worth exploring, there is a plethora of fascinating history to discover in the old town. Take a walking tour, watch a reenactment or if you are brave enough, join the Haunted History Tour and hear true tales about the town’s former famous residents while wandering the cobblestone streets. Opened on May 1, 1846, the cast iron, 117-foot tall Gibb’s Hill Lighthouse is one of Bermuda’s most recognisable landmarks, for obvious reasons. What isn’t as obvious, perhaps, is just how romantic the location actually is. Those brave enough to climb the 185 steps to the top are repaid with such incredible views that if you don’t have a significant other, you will certainly fall in love with your island. For those who do (have that significant other), we recommend enjoying a romantic dinner in the Dining Room at sunset to seal the deal. With outstanding south shore vistas and a challenging 18 holes, Port Royal has always been one of the island’s premier golf courses. However, after its extensive renovation in 2009, it became one of the best in the world—and good enough to host the PGA Grand Slam of Golf for five consecutive years. Our judges voted it the best for being accessible to all and having such impressive coastal views that even the worst golfer can’t have a bad day on this course. For the second year running, our judges chose Blue Sky Flights for the best place to propose! You can book a proposal package complete with a private tour of Bermuda in a Cessna 172, pre-made letters to spell “Will you marry me?” arranged on the beach of your choice, photos and videos on board and a champagne toast upon landing. And the best part is the one proposing can blame the nerves on the flying—just don’t drop the ring! It’s heartless, we know, but oh so 2017. Once again the little beach in the east has taken the top tourism attraction award. Tobacco Bay has everything a visitor could possibly want—a bit of historical significance (the Gunpowder Plot of 1775 literally rolled through there), a family-friendly place to swim, amazing snorkeling, rentals, watersports, food, drink, live music and sunset bonfires—and don’t forget free WiFi to upload all the vacay antics to the requisite social media feeds! To save visitors from a hilly hike, there is even a shuttle bus from Penno’s Wharf. Dating back to the 1860s, the World Heritage Centre in St. George recently underwent extensive restoration and now boasts a beautiful hall upstairs perfect for an evening wedding reception. Ceremonies can even be held outside on Penno’s Wharf with St. George’s Harbour as your backdrop, followed by dinner in the hall and dancing under the stars—pure wedded bliss! Ally Tatem abstained from voting in this category. Jasmine Patterson abstained from voting in this category. If this feels a bit like deja-vu, you would be right. Bermuda’s energy station, VIBE 103 has won this award in 2013, 2014 and 2016, and now in 2017 is once again crowned the best radio station in Bermuda. With the island’s hottest DJs spinning the latest tunes all day everyday (except Thursdays when they make everyone late for work playing those old-school dance hall tunes), the VIBE team simply can’t be beat (as the next two categories suggest). The awards are also piling up for VIBE 103 radio personality of the year, DJ Chubb. His easy-going morning rush commentary, entertaining interviews and sizzling mixes make the tough commute to work almost enjoyable. And no one gets more people talking and tuning in than Chubb with his torturous “One Gotta Go” segments (how can you possibly chose between icons like Lauryn Hill, Erykah Badu and Mary J?) and, of course, his hilarious daily banter with DJ Genie. Russell “Rusty G” Griffiths is another perennial winner of the “Best” awards. Best known for his road-ready soca mixes, the popular DJ is also noted by our judges as the “most professional and versatile DJ on the island.” “He can easily play everything from country to reggae while tuning into the crowd and working flawlessly with the MC,” said one judge. And while DJ Chubb gets your morning started, Rusty starts the night right with his slamming 5 p.m. Traffic Mix on VIBE 103! Otherwise known as Gibbons Gardens, the 18 acres of manicured garden in Devonshire is privately owned by former premier Sir David Gibbons, who graciously opens it to the public from 9 a.m. to 5 p.m., Monday to Thursday. 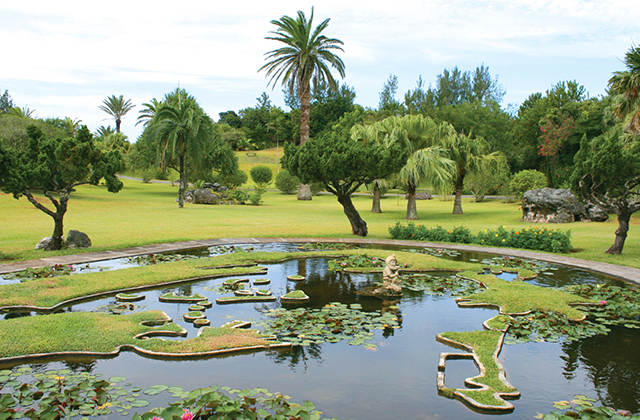 A popular location for wedding photography, the garden features a moon gate and wishing well, an aviary full of exotic birds and a lily pond featuring a map of Bermuda. As the name suggests, palms are the main vegetation of note, but there is also an impressive citrus grove worth exploring. The garden is a lovely place for a serene walk and a great spot to let the kiddies play—just make sure they don’t fall in trying to jump onto the Bermuda map! In this fast-paced digital age, people want their news delivered immediately and they share it instantly. However, not every source can be trusted—we all know that fake news can spread like wildfire just as easily. When it came to choosing the best source for local news, our judges unanimously voted for Bernews. With trusted journalists, respected columnists, live feeds and regular updates, Bernews is almost always the first to post breaking news and cover major events accurately and with integrity. Self-described as a “Bermudian-British-Malaysian actor, writer, producer, designer and multi-disciplinary human who wanders the world in search of the magic of life,” Liana Hall is a fascinating woman and an equally engrossing columnist and blogger. Hall is the daughter of the late Julian Hall, and his influence had a profound effect on her life—and his death an even greater impact. A talented writer, Hall is now the public relations officer for the PLP and an outspoken advocate for women’s rights, mental health care and all those struggling in an imperfect society. Whether near or far, Bermudians looking for their daily dose of “kulcha” need look no further than BERMEMES! 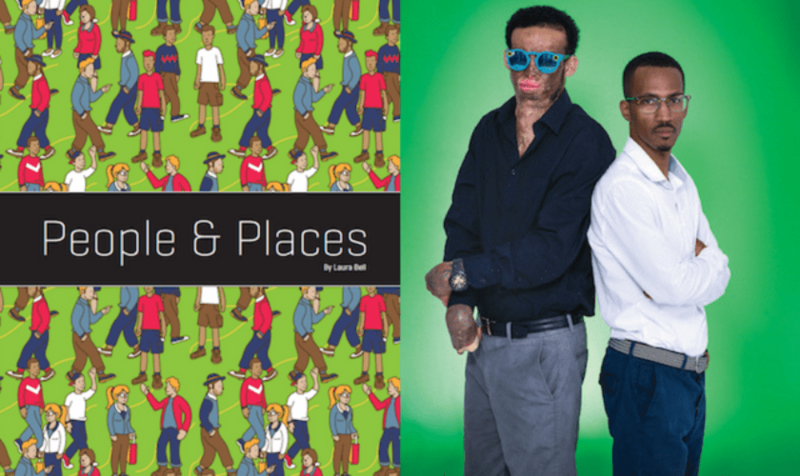 With their hilarious twist on all things Bermudian, the members of the BERMEMES team celebrate our island life and make us laugh on a daily basis. Keep it coming! 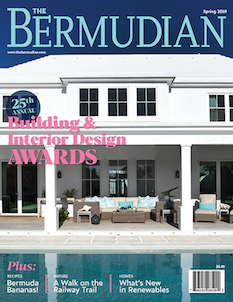 By the time of this magazine’s publication, Bermuda will be smack-dab in the middle of a month of the most exciting sailing action anywhere in the world! 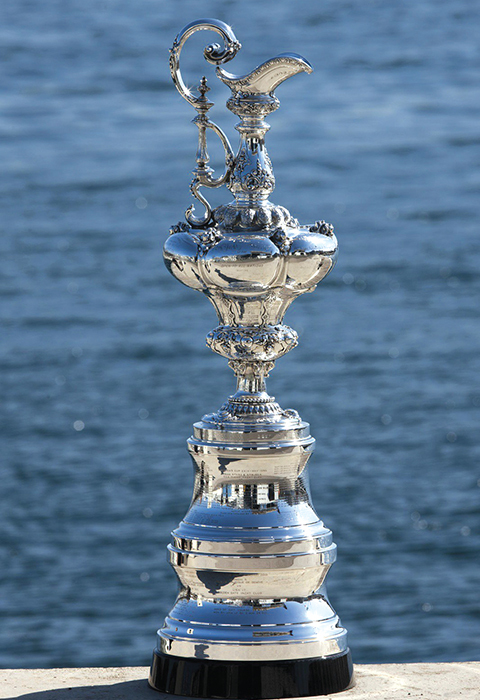 With our beautiful waters highlighted on television screens worldwide and a gaggle of international reporters showcasing our island as the premier racing location for 2017, there can be no booster better for us than the 35th America’s Cup. May the winds be forever in our favour! Whether you wish to write a review, request a recommendation, ask a question or post pertinent information, the nearly 10,000 members of the Facebook group MAJ’s List are quick to respond—generally helpfully, sometimes hilariously and occasionally harshly…so be forewarned. And once in a while, a post goes WAY LEFT (remember the epic red and purple dress post by Leah Scott?) so write with care!